Handmade soy candles for book lovers. 221B Baker Street: The 221B Baker Street book candle is inspired by Sherlock Holmes. A blend of aged newspapers, green tea, tobacco and a touch of rain water and redwood, this candle is perfect for Sherlock Holmes fans. 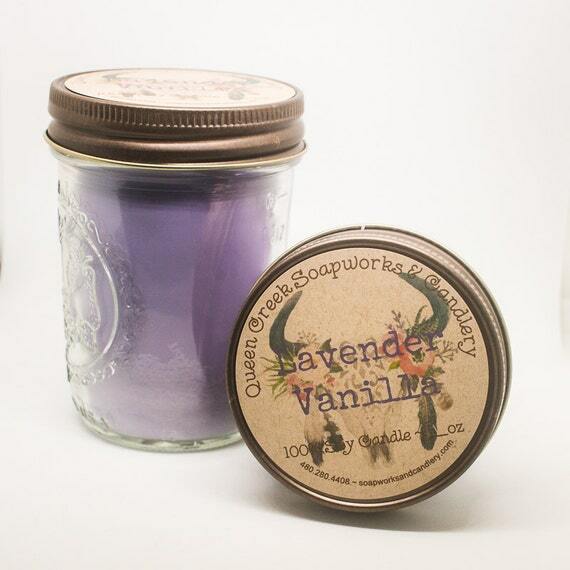 Hand poured soy candle in a clear glass straight-sided round jar. 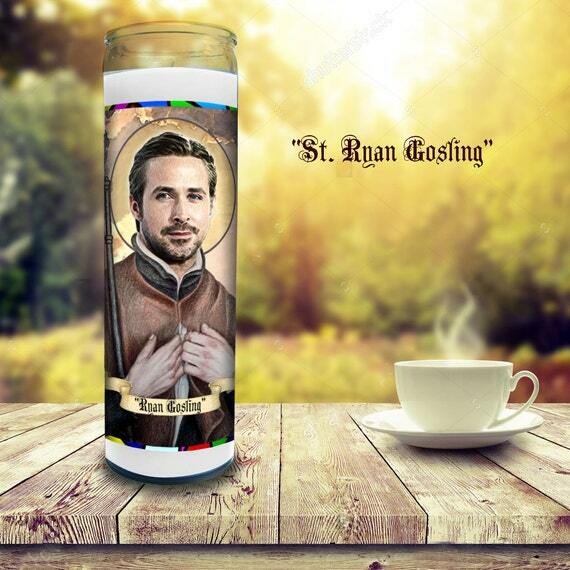 Saint Ryan Gosling Ryan Gosling tribute candle. Great gift for Ryan Gosling. Candle is 9 tall. Design is a mock-up I made myself. Will ship within 1-3 days of initial order by USPS priority mail. SAFETY FIRST! Always keep a burning candle within sight. 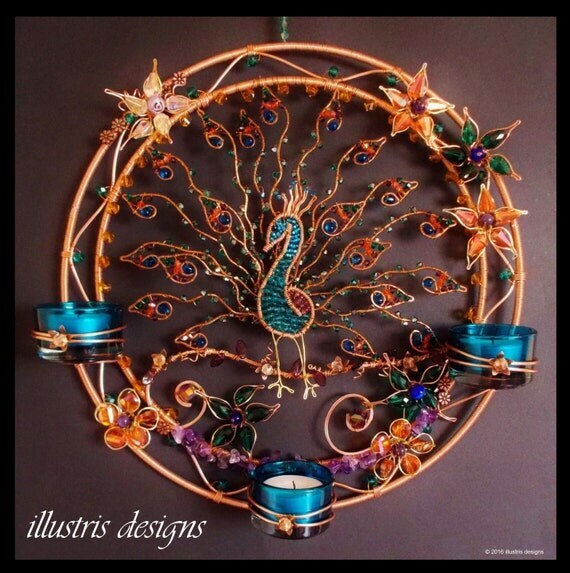 This concrete and brass candle holder is an original and beneficial gift to offer yourself or your loved ones! A perfect companion for relaxation activities, meditation and for calming yourself ! let the word echo and resonate in you, as your breath is calmed by the gentle movement of the Stunning Shadows. Allow the light to shift and re-balance your energy. Sense a feeling of growth. Handmade candle holder made of concrete and brass. A beautiful way to boost self confidence and your well being. Sense a feeling of growth and empowerment. A perfect companion for goals settings and meditation ! 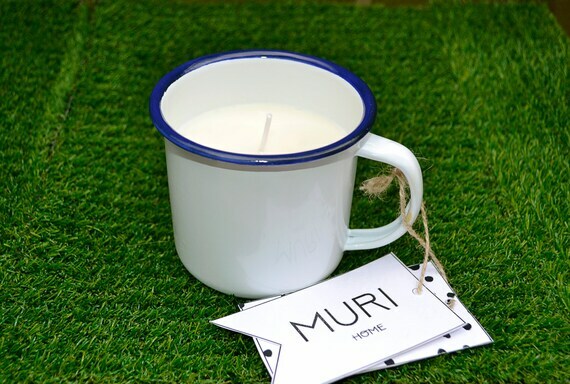 Spice up your home with our soy tealight candles in clear plastic cups. 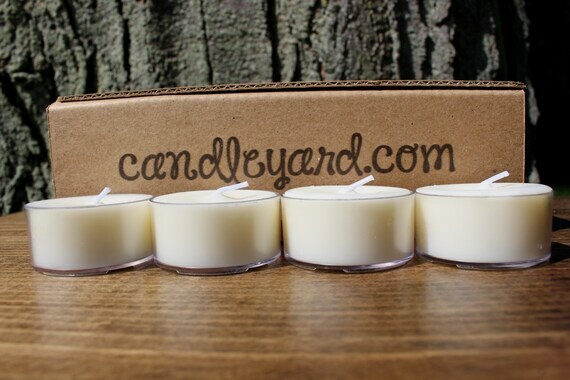 Our candles are hand poured in Chicago, IL! These candles have a burn time of up to 6-7 hours. The plastic cups have the highest safety rating that eliminates melting. This package also includes a corrugated box to protect candles during shipping and storage. We hope you enjoy our candles! 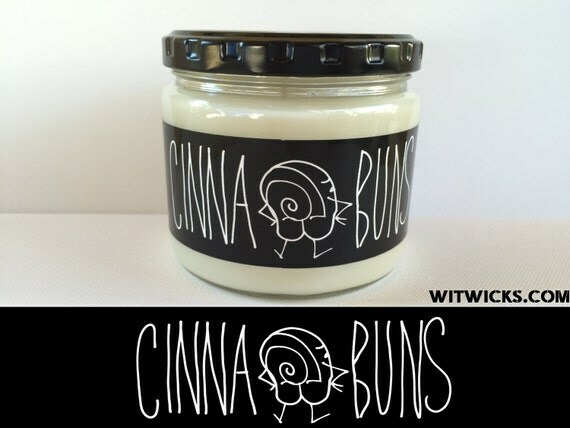 This listing is for Cinnabuns, one of our handmade 12oz cinnamon rolls scented soy candles. SCENT: Fresh cinnamon rolls drizzled in vanilla icing. ABOUT US: WitWicks is a tiny candle business we recently started out of our home outside of Pittsburgh, PA. We are Jon and Courtney, the owners, concept designers, craftsman, quality control, and customer service representatives. 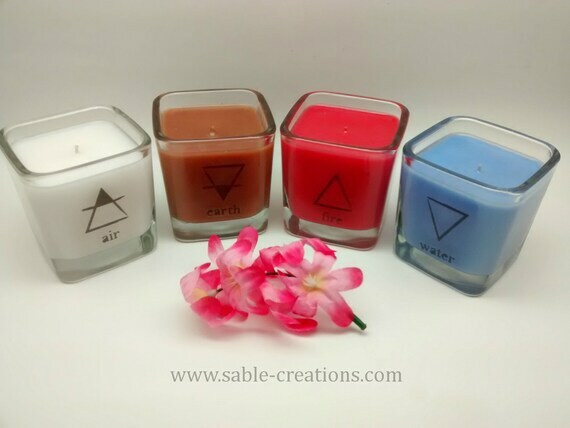 This lovely range of scented soy candles is my first creation to go on sale. Hurray! 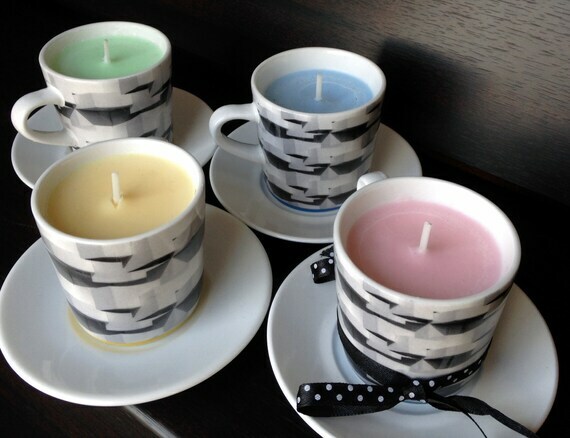 This is a precious set of espresso cups and saucers with coloured, scented ecosoya candles inside. The espresso cups have an abstract black and white pattern with a yellow or blue stripe at the base, and the saucers are white on top, with two blue, one yellow, and one white base. The set would make a fantastic gift for birthday, anniversary, or other holiday--or gift them to yourself! 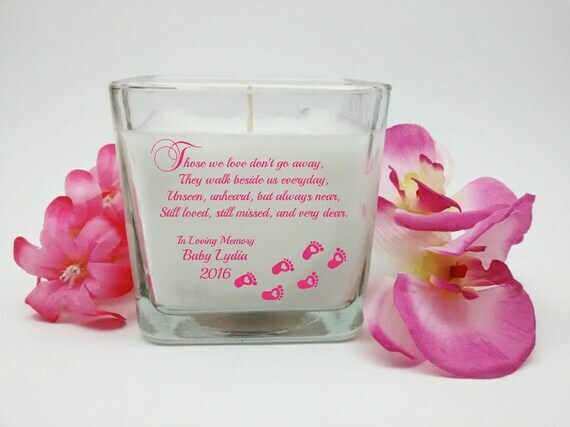 "Walk with Me" A beautiful memorial candle for baby with baby footprints and poem. Available in Pink or Blue. Lest we forget our precious little loved ones who've passed on. Celebrate their life and keep their memory alive with a personalized custom memorial candle. These memorial candles make wonderful keepsakes and unique custom gifts.